Young Justice Outsiders (Season Three) Review! You are here: Home / Featured / PREVIOUSLY ON… #55: Young Justice: Outsiders Review, Animation vs. Live-Action, and the 616Society! PREVIOUSLY ON… #55: Young Justice: Outsiders Review, Animation vs. Live-Action, and the 616Society! This week I review the first six episodes of Young Justice: Outsiders, consider my love of animated comic book TV compared to live-action renditions, and celebrate my new favorite book club (apart from My Marvelous Year!). Since I wasn’t a die-hard when the show was being released (it just wasn’t on my radar), I’ve never quite shared the fervor of Young Justice fans for a return to the two animated seasons that ran from 2010 to 2011. Nonetheless, if Marvel announced plans to renew Spectacular Spider-Man , I’d run naked through the streets of Chicago in January, so I understand where the passion is coming from. Pre-release marketing didn’t do a lot to increase my hype mode either, with the “Outsiders” connections promising more Geo-Force (never something I’ve needed), and the DC Universe exclusive prequel comics playing things deliberately safe. Happily this continues into the revived Young Justice: Outsiders. The best thing about the show is the complete love the creators have for the DC Universe. For example, Episode 5 throws viewers headfirst into a mash-up of the following: Orion, Forager, and the Forever People after flippin’ Bear shows up at the Happy Harbor home of Superboy and M’gann. Oh and Orion is being impersonated by a White Martian… NO BIG DEAL. This is just the tip of the exploration. Through ten episodes Young Justice effortlessly bounces anywhere and everywhere across the DC Universe, creating a joyous sense of possibility. If you have a favorite corner of the DC cosmos it’s not a matter of if it’ll show up in Young Justice, it’s just a matter of time. “Outsiders” jumps the series ahead 2 years in the Young Justice timeline, but so much has changed since the series premiered in 2011. It feels a little strange to me how much this feels like time-traveling back to a couch in front of Cartoon Network. It’s eight years later, it’s on a DC exclusive app that I’m Chromecasting to my TV, but what has changed? While stylistically and tonally I’d argue very little (and for longtime fans, that’s probably for the best), the early episodes make it clear “Outsiders” is focused on tackling real-world issues plaguing the world today. I tend to bristle when ostensible comic fans whine about overly political comics, or the nature of “ripped from the headlines stories.” So it’s with some reservation that I criticize Outsiders ham-fisted attempts at refugee crisis metaphor. That said, the forces of Apokolips, in their earliest Jack Kirby design, are the precise opposite of nuance. It’s literally the battle of good and evil, without shades of gray. Perhaps that’s the role Young Justice is born to play. Speaking of Apokolips, the promise of season two’s Darkseid and Vandal Savage meeting hovers over every element of Young Justice: Outsiders. In addition to Batman and the Outsiders , this season is finding inspiration in everything from Grayson to Final Crisis. I’m excited to see how all the pieces come together as the season progresses, and while I was lukewarm on the first six episodes, it’s inarguably a net positive to have Young Justice back, and the season has only improved with each new batch of released episodes. 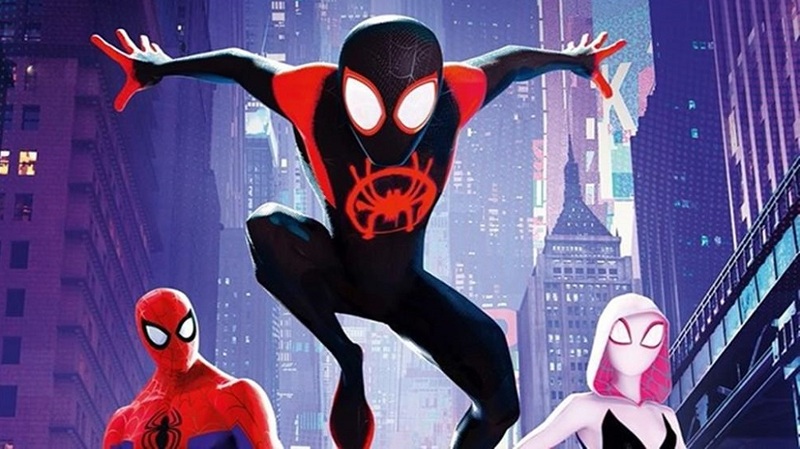 I wrote quite a bit recently about my general fatigue with live-action comics to TV adaptations, and while I won’t pretend this insight is revelatory, the likes of Spider-Man: Into the Spider-Verse and Young Justice reminded me of a simple truth: I might just like animation better. Like many children of the 90’s, I would not be a comic book fanatic without the animated suite of riches that graced television screens throughout the decade. I let my “Night of the Sentinels” tape rock ‘til that tape hot. And still, it wasn’t until college that I actively started reading more actual comic books, right around the same time I fell head over heels for Spectacular Spider-Man. From there it was a roommate who had all the X-Men: Animated Series episodes on a shared drive, treating the Disney XD launch of Avengers: Earth’s Mightiest Heroes like the Super Bowl, and using Netflix to binge Young Justice, Clone Wars, and so much more. If I’m being honest, live-action comic book TV or movies have never had the same impact on me. Sure, the Raimi-verse Spider-Man and early X-Men were big parts of my fandom. But I sure as hell knew Spider-Man the Animated Series had a superior take on Venom. With the rise of the MCU, though, animation has felt more like a piece of the past. The MCU has been so uniformly solid that it was relatively easy to forget about the potential of this first love. Likewise, many concerns – like sheer character count – have at times (here’s looking at you Avengers: Infinity War) felt like less of a barrier between the two. Maybe live-action is there now. Maybe it’s just as good. It’s easy to consider this an overreaction to recent successes (and throw in Incredibles 2 for good measure), but I’m thinking more and more that I might just always prefer animated renditions. Animators can just do more outlandish comic book craziness that I love. Live action is unquestionably a stronger way to get comic book characters and stories to the most people. Those viewing habits are undeniable and a clear majority. Even with astounding critical success, Into the Spider-Verse and Teen Titans Go! pale in comparison to their live action superhero counterparts. Plus, I’d be lying if there wasn’t an inherent immaturity I feel watching “cartoons” compared to live action renditions. This is particularly hypocritical given the sheer quantity of superhero comics I read but as I mentioned, I was struck watching Young Justice how much it felt like being a kid on Saturday morning. 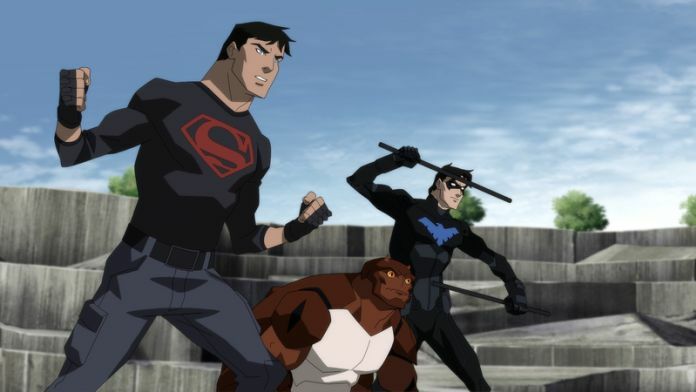 It’s unfair to position the entire medium as juvenile – there are absolutely themes in Young Justice I hesitate to show my young son – but that’s a perception that will likely linger in the broader consciousness. Fickle as I am, all of this sentiment is sure to sway the next time Captain Marvel or Avengers: Endgame knocks a story out of the park. And of course, the truest answer here is that there’s plenty of room for both. But for now, long live the animated series! As a long time proponent of the Marvel Comics reading club (join My Marvelous Year today for my very own! ), I’m loving the 2019 launch of the 616Society, operated by comics journalist and historian Douglas Wolk. This book club assigns a single issue from Marvel’s history every day, with a forum for intensely passionate fans to discuss. So far themes have included Jim Steranko’s Marvel work and Master of Kung-Fu. Even for someone who has read an absurd number of Marvel books, Wolk’s fandom highlights unexplored corners of the universe in fascinating ways. If you’re interested in one of the best comics communities this side of Comic Book Herald, check out the 616Society!